Following the news that Jazmyn Simon had boarded the family superhero drama series Raising Dion, today Netflix has announced that newcomer Ja’Siah Young and Alisha Wainwright (Shadowhunters: The Mortal Instruments) have joined the cast as leads alongside series regulars Michael B. Jordan and Jason Ritter. Seith Mann (The Wire, Homeland) has also joined the series as an executive producer and director of the first episode of the show. Young will star as the titular character Dion Reese, a curious, playful, and intelligent 7-year-old boy who is leaning he has some very special abilities — he can move things with his mind. While exciting and cool, it’s also something he knows scares his mom, Nicole. Wainright will play Nicole Reese, a former professional dancer who gave it up to raise her son Dion when her husband Mark died. 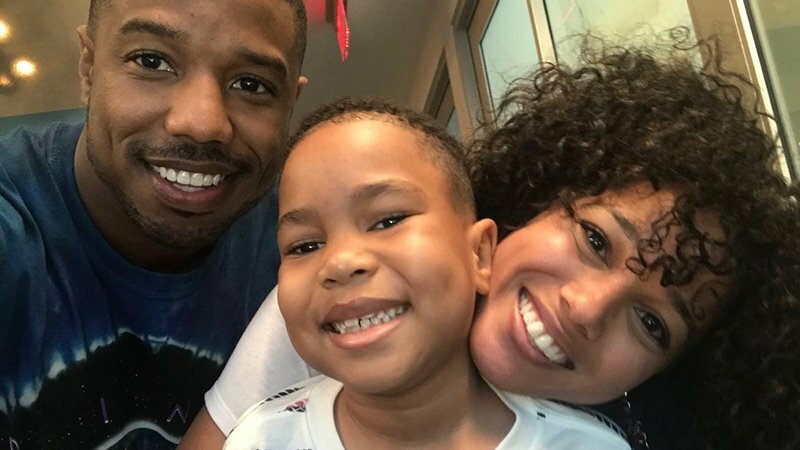 Although Nicole is completely overwhelmed by raising her son alone while dealing with the loss of her husband, she is still effortlessly cool and maintains a positive outlook on life for Dion. As Dion’s abilities become more and more apparent, Nicole’s protective nature heightens as she starts to fear for his safety. Raising Dion is based on Dennis Liu’s short film about an African-American single mother who discovers her young son has multiple, constantly changing abilities. The Netflix series follows a woman named Nicole Reese, who raises her son Dion after the death of her husband Mark (Jordan). The normal dramas of raising a son as a single mom are amplified when Dion starts to manifest several magical, superhero-like abilities. Nicole must now keep her son’s gifts secrets with the help of Mark’s best friend Pat (Jason Ritter), and protect Dion from antagonists out to exploit him while figuring out the origin of his abilities. Raising Dion helms from Liu, Jordan, veteran showrunner and writer Carol Barbee, Kenny Goodman, Michael Green, and Charles D. King’s MACRO. The hour-long ten-episode series is set to premiere on Netflix in 2019.